A bucket is an abstract notion used to organize collections and their permissions. 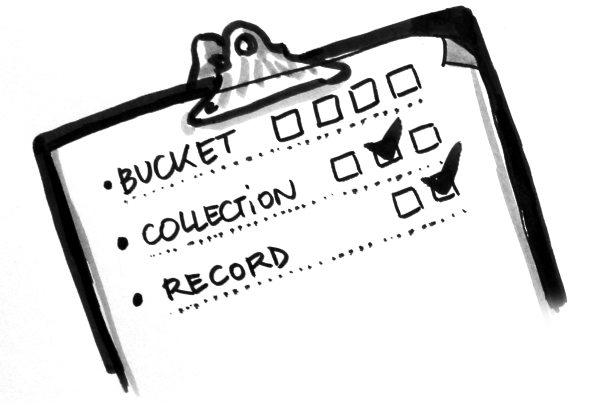 A bucket named default is provided, whose collections and records are accessible to the current user only. Permissions can refer to the group instead of an individual user - this makes it easy to define “roles”, especially if the same set of permissions is applied to several objects. Every concept of bucket, group, collection or record leverages the REST resource notion of Cliquet. Cliquet is a toolkit which brings abstractions and good practices to build HTTP microservices, such as data-driven REST APIs. 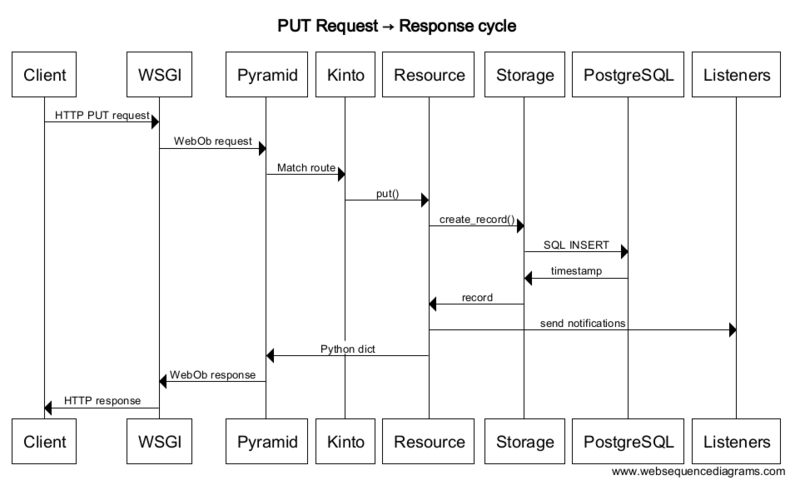 Cliquet relies on Cornice and Pyramid to implement the endpoints and HTTP request/response handling.